1. 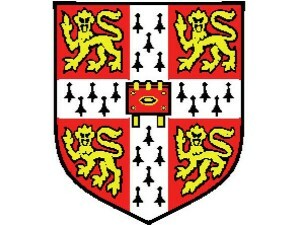 University of Cambridge: Cambridge University is a public research university situated in Cambridge, England. It is second-oldest university in the United Kingdom and seventh-oldest in the world. It was established in c. 1209. HRH the Duke of Edinburgh is the Chancellor of Cambridge. Total student of this university are 18,396,000; undergraduates are 12,018,000 and postgraduates are 6,378,000. Total stuffs are 153,900. This university is in the first position in the Top 10 List of universities. 2. Harvard University: Harvard University is located in Cambridge, Massachusetts, US. It is a private lvy league university situated in 1636. In United States, Harvard is the oldest university of higher education. It became a prestigious university because of its history, wealth and influence. Drew Gilpin Faust is the President of this university. Its total students are 21,225; undergraduates 7,181; postgraduates 14,044 and academic stuffs are 2,107. This university is in the second position in the Top 10 List of universities. 7. Imperial College London: This University is officially known as Imperial College of Science, Technology and Medicine. It was founded in 1907 and is located in London, United Kingdom. This university is a public university which is specialized in Science, Engineering, Business and Medicine. Before being an independent university in 2007, it was a constituent collage of federal University of London. Sir Keith O’Nions is the Rector of this university. Its total students are 13,410 of which undergraduates are 8,350 and postgraduates are 5,060. Administrational stuffs are approximately 8,000. This university is in the seventh position in the Top 10 List of universities. 8. University of Chicago: This University was founded in 1890 and located in Chicago, Illinois, USA. It is a private research university which was founded by the American Baptist Education Society. The present president of this university is Robert Zimmer. Its total students are 15,438 of which undergraduates are 5,134 and postgraduates are 10,304. This university is in the eighth position in the Top 10 List of universities. 9. California Institute of Technology: This University, of10 referred as “Caltech”, is a private research university. It is located in Pasadena, California, United States and was founded in 1891. Caltech strongly emphasizes on engineering and science with six academic divisions. Jean-Lou Chameau is the president of this university. Total students of this university are 2,175 of which 967 are undergraduates and 1,208 are postgraduates. This university is in the ninth position in the Top 10 List of universities. 10. Princeton University: This University is located in Princeton, New Jersey, United States. It was founded in 1746. It is a private research university and one of the eight universities of lvy League. Only nine universities were founded before the American Revolution and Princeton University is one of them. Shirley M. Tilghman is the president of this university. Its total students are 7,567 of which undergraduates are 5,113 and postgraduates are 2,479. It is in the 10th position in the Top 10 List of universities.